During the elebenty hours I spent at O’Hare Airport today, I did have the fortune to run into at least one thing that weighs more than me. 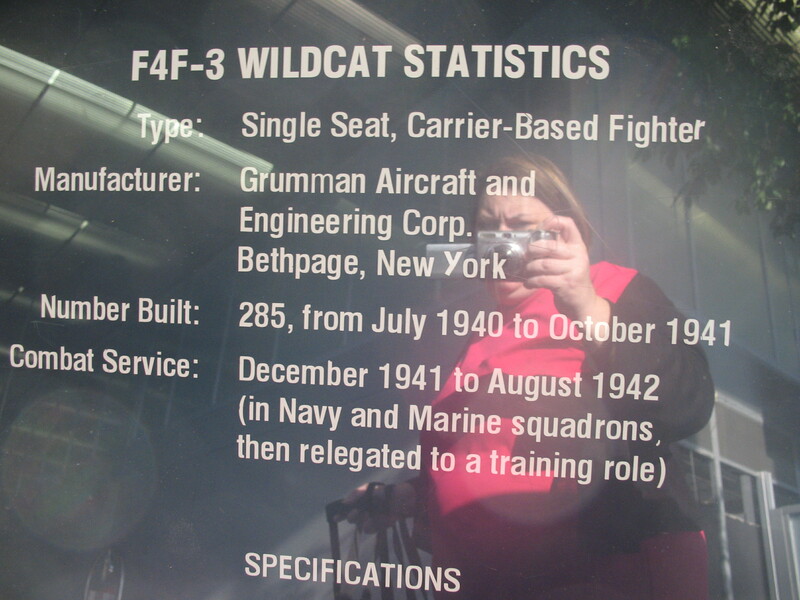 As you can see from the plaque (that also serves as a unique format for a “selfie”) this is an F4F-3 Wildcat. 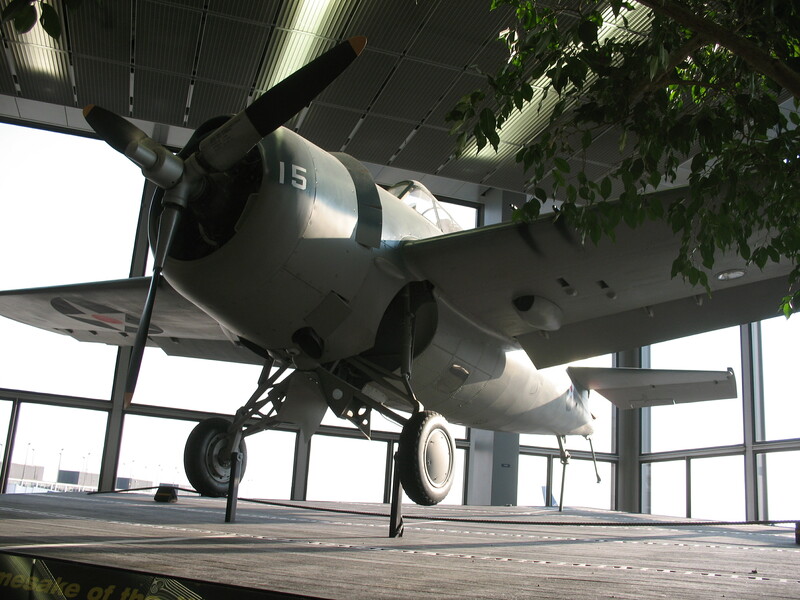 This single seat, fighter flew during WWII and was later used primarily for training missions. It also served as blog fodder and consolation prize for having spent nearly 2 lifetimes at the airport today. Height: 9 ft. 2 in. Gross Weight with Fuel/Ammo 7002 lbs. Conclusion: This WWII fighter plane weighs more (and has been at the airport slightly longer) than me. 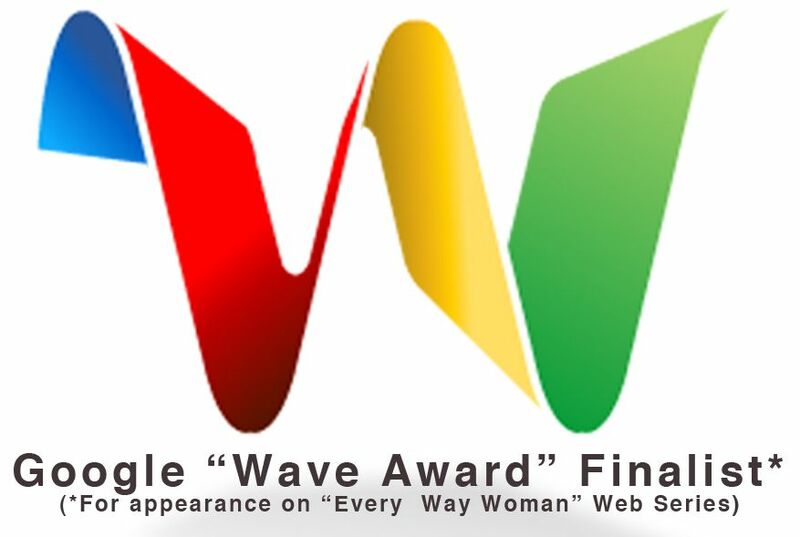 This entry was posted in Uncategorized and tagged airport, Fat Acceptance, fighter plane, forever, Jeanette DePatie, long wait, O'hare Airport, size acceptance, Size Diversity, stuff that weighs more than me, the fat chick, wildcat, world war 2, world war II, wwII on July 2, 2013 by fatchicksings.